All Merit discs are designed to accommodate the accuracy requirements of target shooters and the durability needs of hunters. All of our products are hand built. We use the best materials and perform quality control inspections on every part at every step of assembly. Your satisfaction is guaranteed. If you are not satisfied, we will refund your purchase price. If you have any questions, please contact us. By increasing the shooter's eyes' depth of field, this device eliminates blurry sights and targets providing the shooter with a clear sight picture. Works with bifocals, trifocals, and safety glasses. Attaches with a non-scratch suction cup. Aperture varies from .022 in. to .156 in. diameter. Pivots out of way when not shooting. Works great with rifles that have open sights, perfect for muzzleloaders. Works with red dots, restores image to a crisp dot. Promotes consistent hold by keeping your head and sights aligned the same shot after shot. Fast getting on target since it is on your glasses rather than your pistol. Compact: stores in 1" x 1" x 1" box. The #4 is designed to replace the existing fixed aperture in your peep sight. Our adjustable aperture allows good sighting in any lighting condition. The overall size of the disc is smaller than our target models, allowing low mounting and reduced weight. The #4 easily fits most tang sights with its standard size 7/32-40 thread. Some special threads are available for unique sights (contact us for information). Click spring maintains aperture setting. 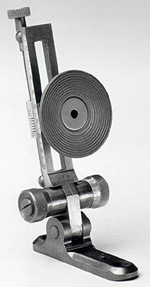 Aperture varies from .022 to .156 inches diameter. Threaded shanks available in three lengths. See size chart for proper length. 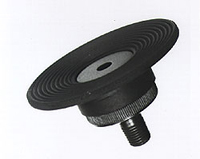 The #3 Discs are adjustable apertures designed for target shooting. The 12 leaf shutter opens and closes without changing point of impact. of big bore magnums and the unique recoil of piston/spring air rifles. Available in two styles - Master and Target. Aperture varies from .022 to .125 inches diameter. Internal click spring maintains aperture setting. Positive internal stop to protect from excessive torque. Thread sizes available for most sights: 7/32-40, #10-32, #10-40. 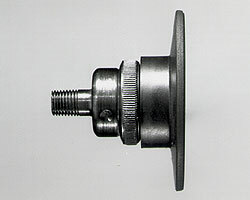 A metric adapter available for use on European 9.5mm-1mm threaded sights. This model is favored by high power shooters and other outdoor competitors. Shaded aperture for deep well effect. Light Shield easily trimmed to desired diameter. May be converted to Target model at later date. Master mounted in Frank Zika Tang site. This model favored by indoor smallbore, and Air Rifle competitors. Light Shield can be added at a later time. For the rifleman who requires, or desires, an optical lens to further sharpen his sight picture. This disc utilizes the #3 aperture assembly and provides a cavity to mount a prescription ground lens. Lens is properly cushioned to protect it from shock of recoil. May be easily removed for cleaning or replacement. You are always sighting through the optical center of the lens. 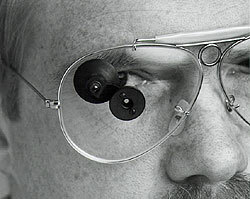 The Merit Lens Discs are available with or without the rubber Lightshield.